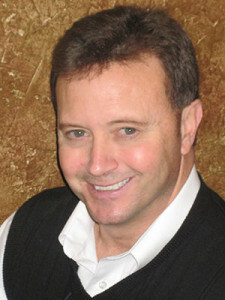 Tim has been a successful entrepreneur for over thirty years. He has established businesses in financial services, computer software and training and consulting. He is the founder and currently serves as CEO of the Pinnacle Training Group which specializes in sales, business development, leadership and staff performance training. Tim’s awards include “Rookie of the Year” in 1985 for sales and service with The Southwest Division of The Prudential Insurance Company; The youngest president of The General Agents and Managers Association of West Texas, and a 10 time member of the top performing sales associates for three different companies. In 2004, Tim started the Pinnacle Training Group and has developed over 100 hours of training materials including in-person and webcast presentations, three books and several training video series. He has worked with hundreds of companies across the U.S. and has trained thousands of individuals through both live seminars and national webcasts. Tim is a graduate of Texas Tech University with a degree in finance and a degree in marketing. He has served on numerous boards of non-profit organizations and coached youth sports for over ten years. Tim’s number one goal is to help you become as highly productive in your workplace as you choose to be; to achieve all you can through a passionate approach to your livelihood. A fulfilling, productive, and highly engaging workplace and world begins every day one personal choice at a time!